MarineMax Dallas will present the first Sea Ray L590 in the state of Texas at its annual Wine and Waves Kickoff Party, held on the MarineMax Lake Lewisville docks on March 18. 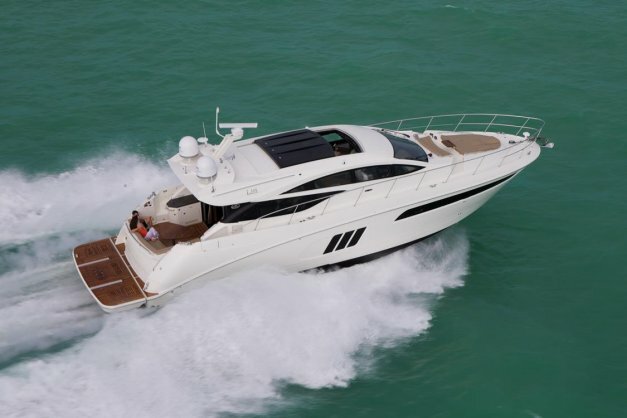 With a length overall of 58 feet, 10 inches and a beam of 16 feet, the Sea Ray L590 has room for a crowd. Yet, with triple Cummings QSC 8.3-600 in-line diesels and Zeus drives and joystick control, it is easy to operate short-handed. The Sea Ray L590 will be available for inspection along with entertainment, food and beverages at the Wine and Waves Kickoff party from 7 p.m. through 10 p.m.
For or more information, please contact Faith Miller at 469-293-9095 or email faith.miller@marinemax.com.